The all-new 2017 Subaru Impreza, now made in Indiana! For years, the ever impressive Subaru Impreza has been produced solely in Japan. But with a completely redesigned 2017 model and overall sales skyrocketing in North America, it only made sense for the automaker to start producing these popular vehicles in the Western hemisphere. At the Subaru of Indiana plant in Lafayette, the first American-made Impreza rolled off the assembly line and celebrations were in order. While other notable models like the Legacy and Outback have been produced in the Indiana plant for a while now, this month marked the first time the Impreza made its way down the line. In the past, we mentioned that Subaru spent a ton of cash on updating the Impreza, and the assembly location of the vehicle was a sizeable chunk of that $1.3 billion investment. 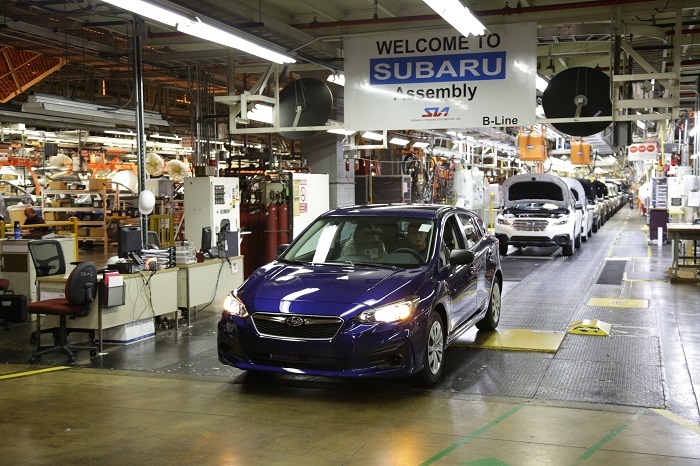 “In a time when some manufacturers are moving work out of the United States, we’re proud to be bringing Subaru Impreza production to the heartland of America,” declared Tom Easterday, Senior Executive President of Subaru of Indiana Automotive, Inc. (SIA). The 2017 Impreza is the first vehicle on the receiving end of Subaru’s new Global Platform architecture, which focuses on improving certain features of their lineup of vehicles, including: safety, agility, comfort, and driving pleasure. The new Impreza comes with a collection of exciting updates like standard Apple CarPlay and Android Auto, driver assist technology, and a revised suspension. 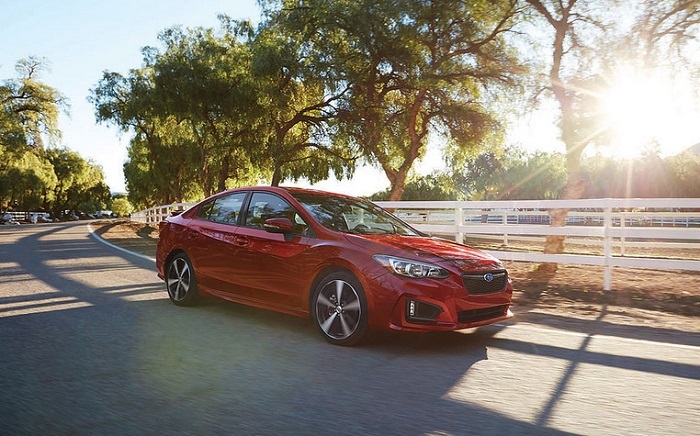 The all-new Subaru Impreza is available as a sedan or hatchback, and is offered in four trim levels with varying features.